Frank holds a Bachelor of Architecture from the University of Toronto and a Master of Architecture in Urban Design from Harvard University. His experience includes working as an architect with WZMH in Toronto and as Director of Downtown Planning for the City of Calgary. 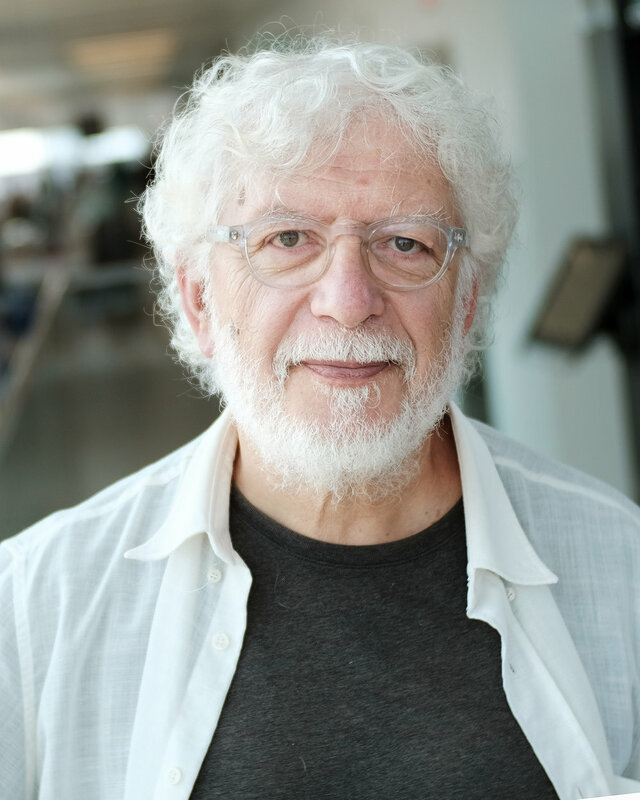 Currently Professor Emeritus, Frank joined the Faculty of Architecture & Planning at Dalhousie in 1984, where he held the positions of Head of the Planning Department and Dean of the Faculty. Frank has been a member of the National Capital Commission Advisory Committee on Planning and Real Asset Management and a member of HRM’s Urban Design Task Force. As a past member of HRM Design Review Committee, Frank was instrumental in ensuring a higher level of attention to the integration of the public realm in development projects in Halifax. As an urban designer, Iyad draws extensively on his architectural background. He is passionate about the built form at all scales: from the doorknob to the structure of towns, but more critically interested in the way form touches people's lives. Seeing urban design and design communication as means to engage, imagine and plan, Iyad advocates that design must place people first. After all, urban design must be about bringing betterment and delight, unfolding both the beauty of places and joy of living together. Iyad is skilled in designing progressive urban experiences for all. Kieran is a community planner and project manager who has worked in municipal, private and the nonprofit sector. She holds a Bachelor of Community Design with honours in Urban Design and a Bachelor of Arts in Environmental Sustainability and Society from Dalhousie University. She brings a grounded understanding of community-based planning approaches, project impacts and meaningful communication, which she applies to engage project stakeholders in productive dialogue. Kieran has worked on an Inner City Local Area Plan, Streetscape Plan, and Strategic Plan for Low-income Housing in eThekwini Municipality (Durban, South Africa) as part of the Urban Renewal Team. With the CEU Kieran has undertaken a variety of planning projects from a Regional Urban Aboriginal Study, and Housing Pilot Project in Wagmatcook First Nations, to the coordinator of community wide active transportation initiatives such as Halifax Bike Week and Switch Open Streets. With her wide range of experience, Kieran brings thoughtful and strategic insight to her planning and design projects. Ben is a Community Planner who is passionate about engagement and community development. His work experience in government and non-profit sectors includes coordination, facilitation, and engagement with a diverse range of stakeholders from cabinet ministers, to small business owners, and individuals experiencing homelessness. Ben leverages strong written and interpersonal skills to engage with stakeholders and understand their objectives. Recently he worked for HRM as the public and business liaison during construction of the Argyle and Grafton Shared Streetscape Project. Amin holds a Master of Architecture and is passionate about Community Design. He utilizes his visualization and analysis skills to ensure ideas and project design intent are communicated effectively. He generates visualization materials such as animation, 3D models, and design drawings, as well as CAD and GIS support. Amin also has experience with heritage revitalization projects focusing on conservation, economic development, and branding.